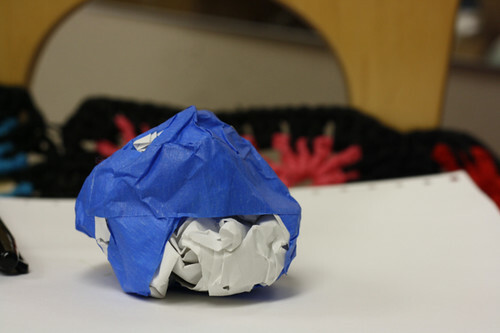 for great arm muscle work, make a ball (or snow ball or hail ball) out of crumpled paper. 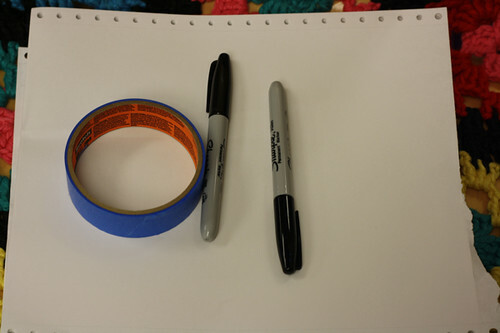 then fore great fine motor work, cut or tear tape to keep the paper ball together. make as big as children want to.